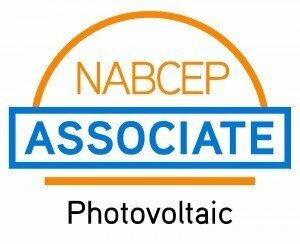 NABCEP Photovoltaic Associate Credential (PVA): This is a first level achievement that demonstrates your knowledge of fundamental principles of design, installation and operation of Photovoltaic energy systems. Requirement for Advanced PV training: Complete a prerequisite course from a NABCEP Associate Credential exam provider. Solairgen course: PV201OL PV Design and Installation – 30-hour online course.